Listen of the The Blue Hotel with their classic jazz at 9:30, the Willie T and Doctor X will play original and cover tunes at 11:15, and James Fullerton will play at 12:15 sponsored by Craft Beer Cellar Winchester. Lemonade by Hanson Farm and coffee and tea – hot and cold by The FULLer Cup. Rubini Art Gallery will be demonstrating the fun of learning how to paint. She has a local art gallery and teaches art. 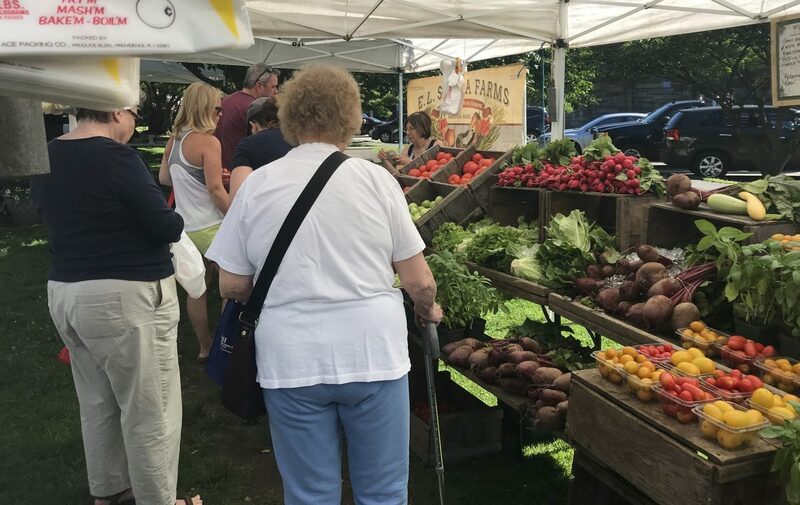 Part time vendors Hanson Farm, Warner Farm, and Flats Mentor Farms will have their current fresh produce and fruits, Keegan Kreations will bring their wonderful French baked goods, and Camberville Dog Treats has ice cream treats for your pets. Betty Stone will have her photographs and photo cards.